Madison and the rest of our area will be buzzing with activity this weekend as the season of fall festivals begin! 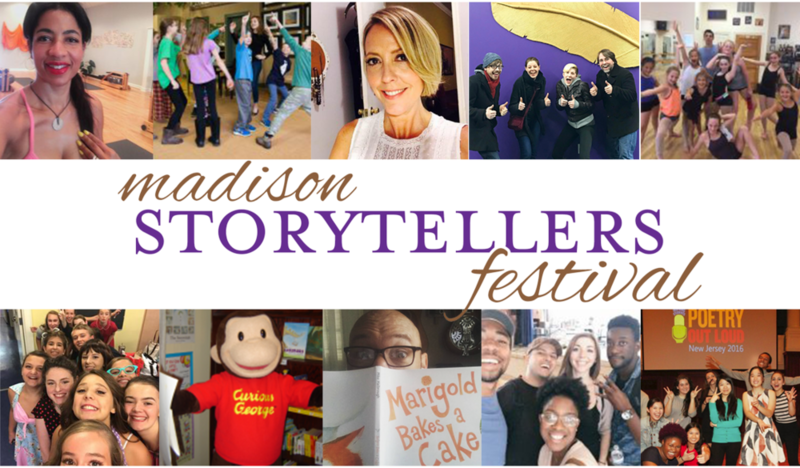 The 2nd Annual Madison Storytellers Festival is here! Join authors, local performers, businesses , music, games and so much more! For a full line up, check out their info below. Short Stories Bookshop & Community Hub (23 Main St.) and Jolie (32 Main St.) will host the speakers and workshops. Green Village Road (closed for the day between Main St. and Kings Rd.) will feature live musical performances, special crafts and activities, and table displays by arts organizations and merchants, including Shakespeare Theatre of New Jersey, Spotlight Kids Company, Madison Montessori School, Storybox Tales, Encore Strings, Step Right Up Studios, GLYPHS Literary Club at Madison High School, Kumon Learning Center, Zen Out Massage Therapy, Sleigh Bell Letters with Leslie Lajewski, individual authors and artists, select delicious food vendors, and more. Enjoy a WILD night filled with adventure at the Turtle Back Zoo! Observe the animals in the dark, meet the educators and keepers, and discover how the zoo works behind the scenes. The Fall Sleepover program is fun for all families who’d like to spend a night exploring the zoo in the dark while learning about TBZ’s mission of conservation and stewardship. Ages 6 and above only; groups must have 1 adult chaperone for every 4 children in the party. Register here. Participants must supply their own sleeping bags and sleeping pads (no tents). Dinner will not be provided by the Zoo during the event; please have dinner prior to your arrival, or bring dinner with you. An evening snack will be provided. Shopkins Live! is finally here! The #1 kids toy in North America is live and on stage in Shopkins Live! Shop It Up! Your beloved Shoppies make their theatrical debut in an original new live show featuring musical performances by Jessicake, Bubbleisha, Peppa-Mint, Rainbow Kate, Cocolette, Polli Polish and more! The fun and fashionista Shoppies are joined by the Shopkins – the grocery store-themed mini collectable toys - Apple Blossom, Strawberry Kiss, Lippy Lips, Kooky Cookie, Poppy Corn, Slick Breadstick and Shady Diva. An ensemble cast of multi-talented performers brings the show to life on stage through urban style music, song and dance. Come one, come all to the 1920s Country Fair & Harvest Festival. Enjoy a fun-filled day of wagon-rides, farm animals, live music, exhibits, old-fashioned games, demonstrations, hands-on activities, and food or purchase. Fun for the entire family! Friends members are half price with a current membership card. This year's 10-acre corn maze is themed "Sea Turtle Rescue." While exploring the maze, you will learn about the ecological role of sea turtles and ways to protect their future. While you're sure to have a lot of fun, you'll also do a lot of good; a portion of proceeds from ticket sales will be donated to Sea Turtle Recovery. Tickets may be purchased in advance.